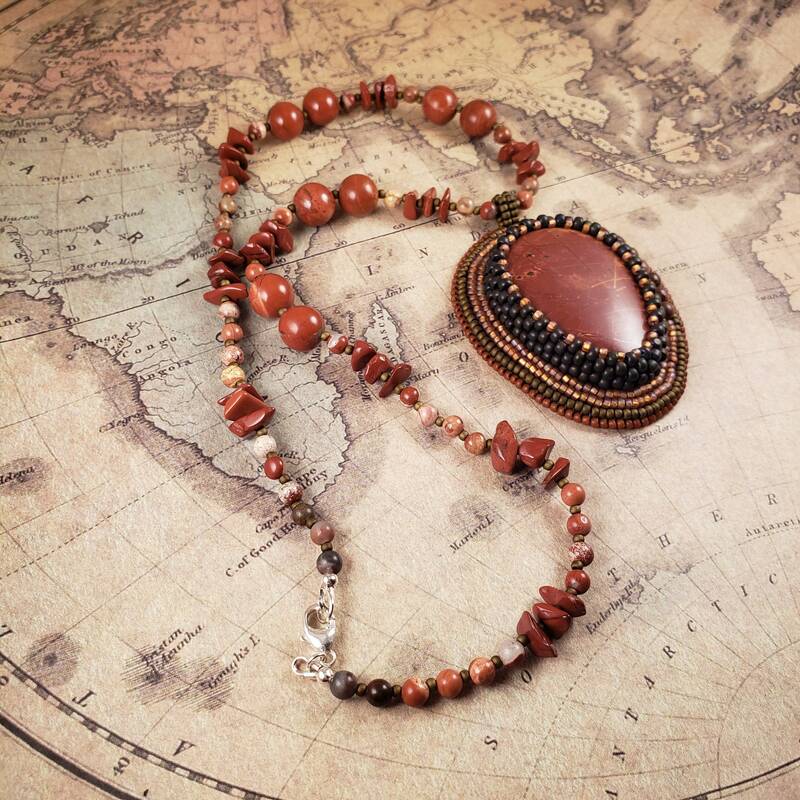 Beautiful boho statement jewelry necklace designed for every day wear. 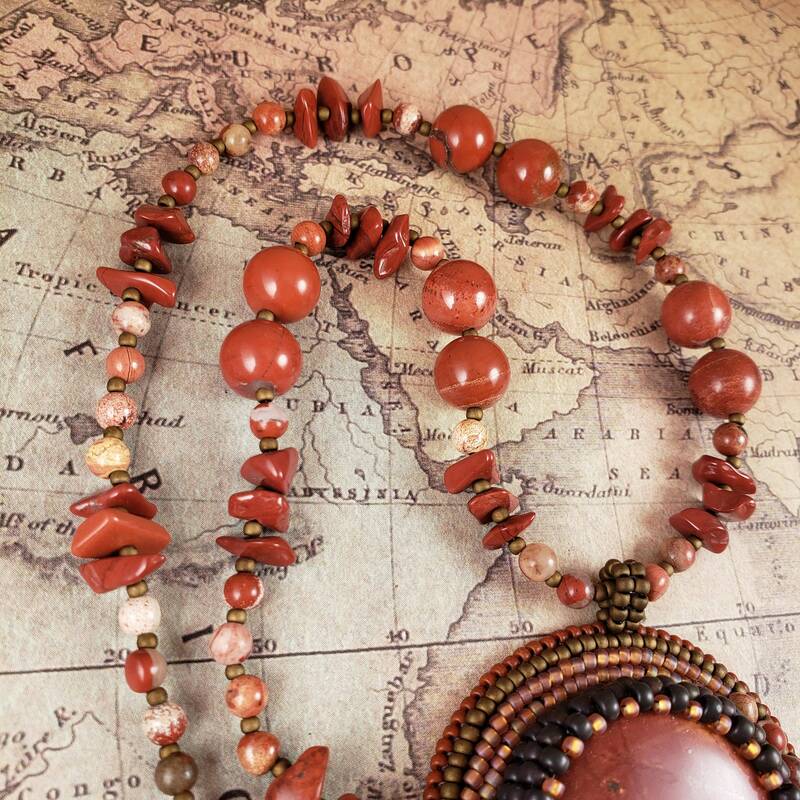 Large orange red jasper pendant with accent jasper orbs on a jasper beaded necklace. 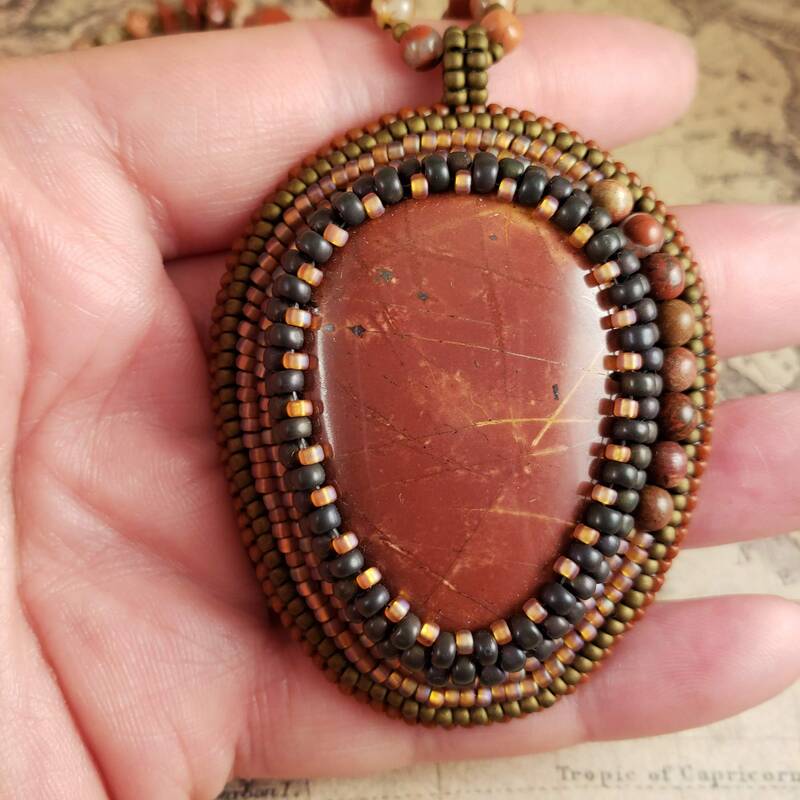 Mixture of jasper orbs and chips. 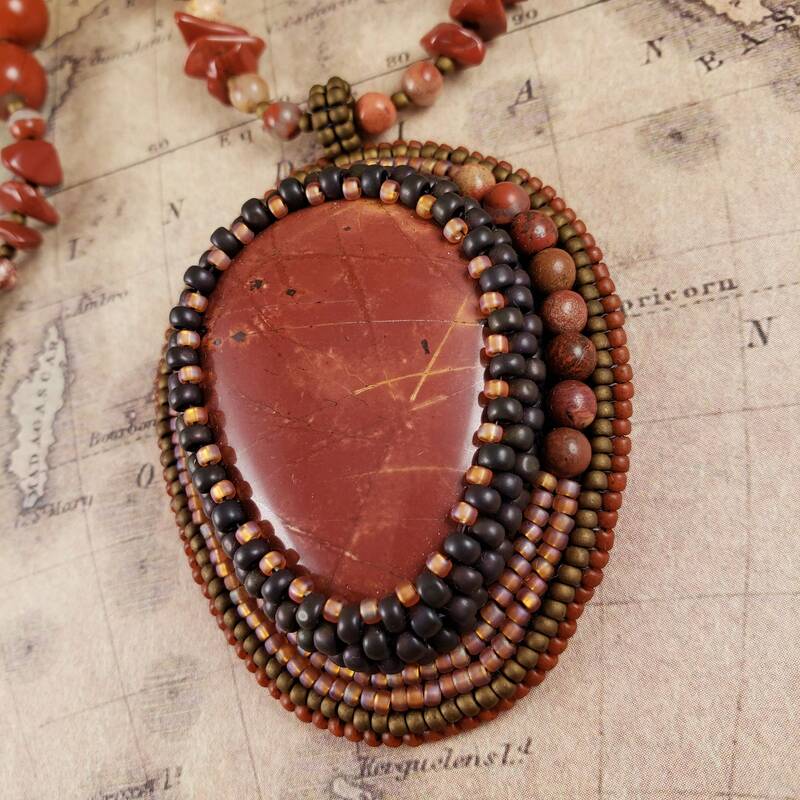 Hand bead embroidered frame of bronze, burnt orange, and shimmery orange Czech and Japanese glass seed beads. 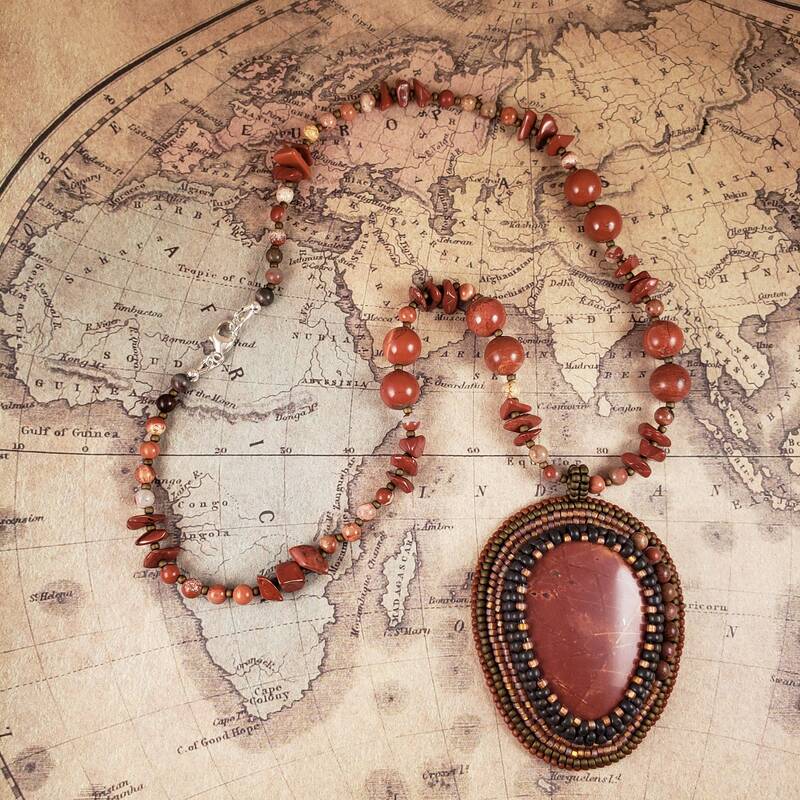 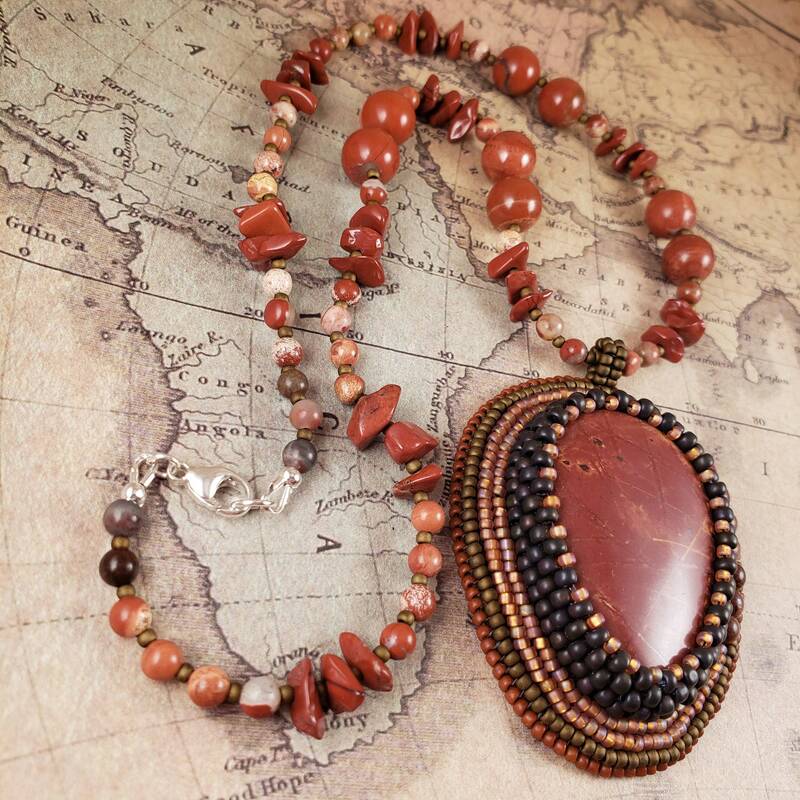 Red Jasper is a stone of strength. 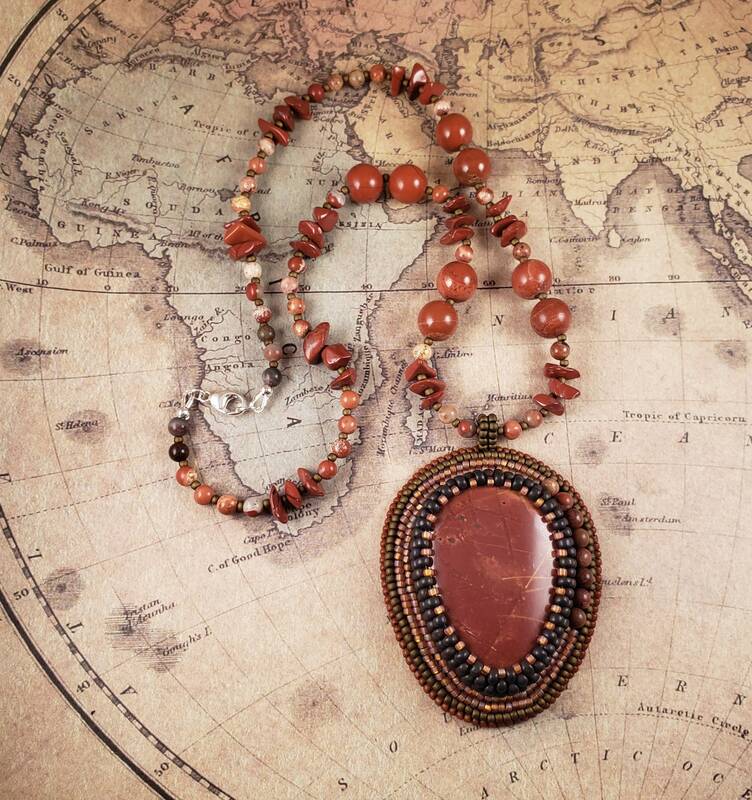 It is known for channeling vibrancy, endurance, energy and courage. 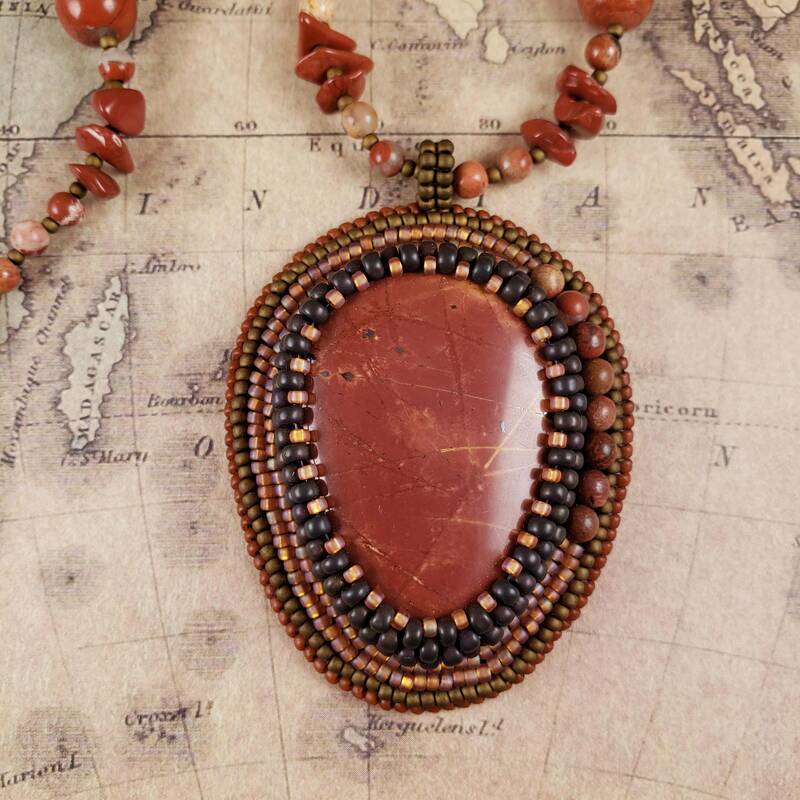 The deep blood red qualities of this jasper also tie it to wound healing, both external and internal.